If you’ve tried diet and exercise, but still have fat and inches you just can’t loose, It’s time for Zerona. 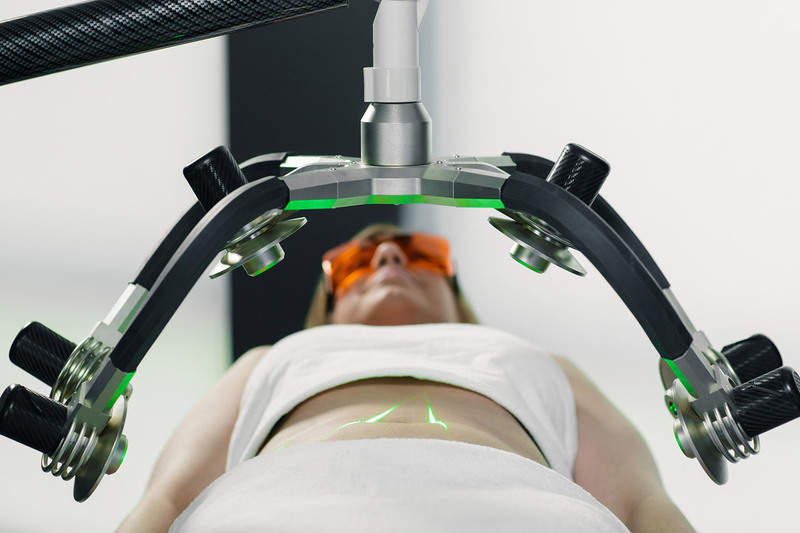 The Zerona Laser is the first non-invasive body contouring procedure to effectively target excess fat without the negative side effects, associated with surgical methods, according to experts. This “cold laser technology” with no pain and downtime can shrink fat cells and is said to reduce the circumference of the thighs, hips, waist, back, stomach and arms for the right candidate. Zerona is a new body-sculpting procedure designed to target fat and contour the body without invasive surgery. Zerona, unlike other procedures, allows the client to continue their daily activities without interruptions from surgery, pain, swelling, bruising, scarring, wounds or garments. It works by utilizing the Erchonia’s patented low level laser technology to emulsify adipose tissue, which then releases into the interstitial space. Our bodies remove the fat from the area and transport the fat through the lymphatic system creating a slimming effect. Zerona is a quick and painless treatment. You simply lie under the Zerona for 20 minutes on your front and 20 minutes on your back. Unlike minimally invasive or traditional liposuction, the Zerona allows you to continue your daily activities without any interruption. Safe and proven procedure to reduce fat in unwanted areas of the body. It is a treatment to allow fat to be diminished from the body without the pain, surgery, risks or saggy skin. Zerona laser treatments are considered ideal for anyone who would like to reduce fat without surgery. Patient that feels like they have failed with just diet and exercise alone are good candidates for Zerona. Zerona is a great way to target problems areas like stubborn belly fat.